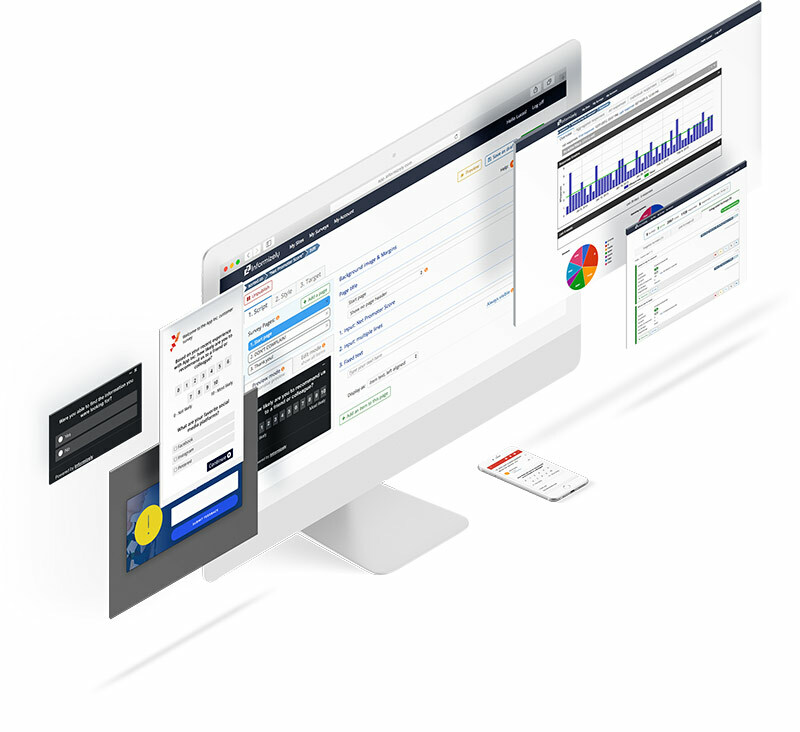 Let your customer immediately tell you what they think without any detours. 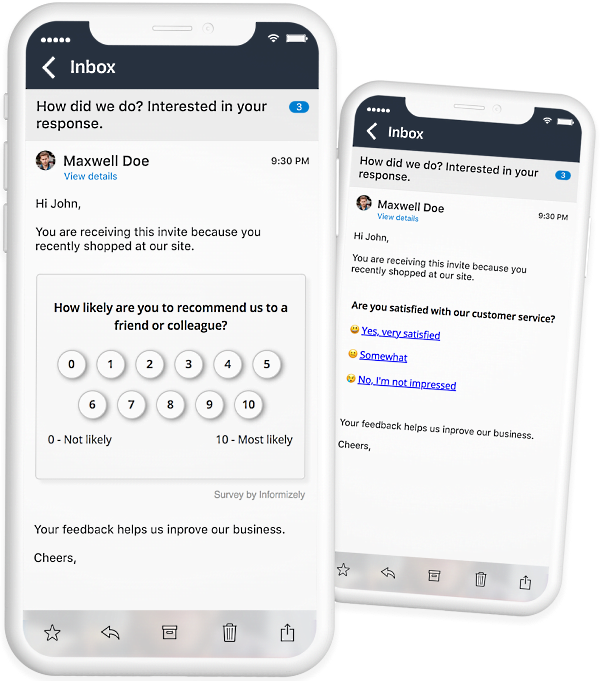 They can pick the most appropriate response to your NPS, rating or other single-choice question directly in the email. When your customer clicks on their response in the email, you can take them to a webpage with more questions. No need for repetitive questions, by integrating custom parameters you’re able to recognize individual responses. 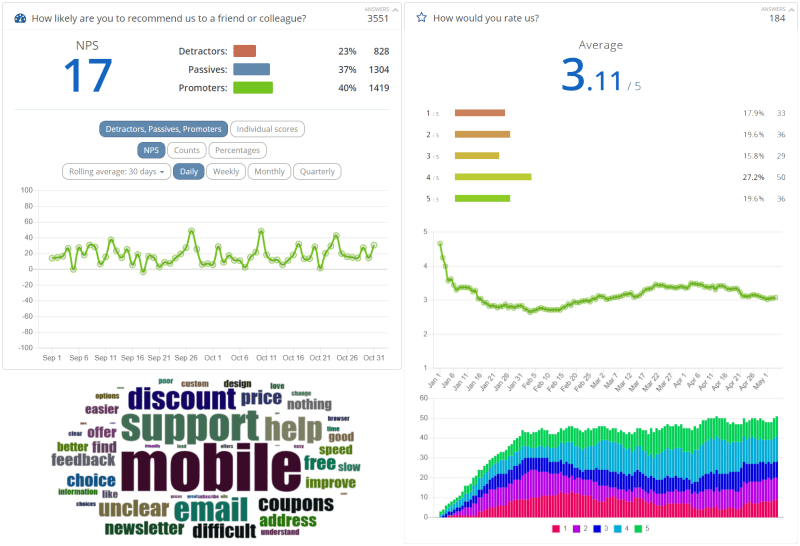 Net Promoter Score, 1-N scores and text choice questions in your emails. Simple implementation: just copy and paste our generated HTML directly into your email platform of choice. Easy filtering to quickly drill down to related answers. Text analysis of most used words in a interactive word cloud. Export response data to Excel, or use our REST Reporting API or Webhooks for advanced integrations.